The vast minority of presentations are about amusing the crowd, delighting them with your wit. And wasting everybody’s time. If you don’t plan on changing the status quo with your presentation, don’t bother creating one. 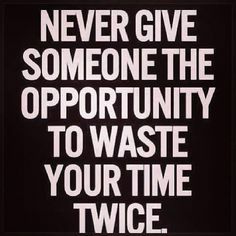 You’re wasting everybody’s time and energy. It might be to get approval for the multi-million dollar project that will change your company forever. It can be about getting more respect from the crowd and being seen as a leader in your field. Or, most likely, it’s about starting a process that will lead to action. It’s much easier to be funny and bore people with fact-laden slides. Change is filled with risks, much easier to fall back to the meeting where nobody listens and secretly stares at their glowing screens. But change creates possibilities. Change opens doors, minds and hearts. Because it’s so hard, you need to plan for it: The length of your presentation. The tone. The visuals. The storyline. You need to plan it right because change is so hard. Your presentation has to be perfect to affect a desired outcome. If it doesn’t feel right, don’t bother presenting. Every element of your presentation (the room, the attendees, the length, the tone) exists for just one reason: to make it more likely that you will achieve the change you seek. If it doesn’t do that, replace it with something that does. If your presentation didn’t change anything, your work failed. If you succeeded, you might get stuck with being responsible for a failed project, failed relationship, failed company. Of course. That’s why we tend to experience lousy presentations after another. It’s so much easier. Change is not easy. Change is hard. Make your presentations work harder to drive the change your desire.